Today I thought I'd come back with another facts about me blog post. I thought I would do this as since I've been gone (love a bit of Kelly Clarkson) my following on here and twitter has increased quite a bit so I thought why not share some weird and wonderful facts about me for those of you who might not know a lot about me. I'll be starting off with the basics and going into some random facts too. This introduction has been longer than I thought it would be so enjoy!! 3. The above fact makes me 24 years old even though I look about 12. 4. My star sign is Virgo. 5. I live in London. North West to be exact. 6. I work full time for a company you may or may not know called British Airways. 7. I graduated St Mary's University in Twickenham in 2013 where I studied tourism management for three years. 8. I am 5 foot 4.5 and yes I do count that .5. 9. I am ambidextrous which if you don't know means I can write with both hands and it's probably one of my favorite things about myself. I was left handed when I was younger but my mum wanted me to start writing with my right hand however I can still write with both. 10. I come from a very cultural background. My mum is from Mauritius and my Dad is Scottish however on my Mum's side there is a bit of Indian and French and on my Dad's side there is Irish and German. 11. I have one brother who I live with called Aidan who's 22 and 2 step brothers who I've not yet met but they are a lot older than me. One lives in London and one has moved and lives in Australia. 12. I have been biting my nails and chewing the skin on the outside of them since I was about 5 years old. However it's something I've managed to stop over the past few months which I am super proud of. 13. My favorite song of all time is HELP! by The Beatles. It makes me so happy. 14, My favorite band of all time is Westlife. I have all their albums downloaded and I have the physical copy of every album and single they ever released in a box under my desk. I just love them and still keep an eye on what they all do individually. 15. I am an extremely painfully shy person which surprises a lot of people that know me really well. I'm extremely awkward and get tongue tied a lot which can make me seem really embarrassing and weird. I'm not really the sort of person to just walk up to someone however it is something that I am getting better at and I've managed to meet a lot of amazing people this year due to overcoming that shyness. 16. I am not a big alcohol person. However my main drink of choice is prosecco but if it comes down to a cocktail...it has to be a mojito! 17. One of my best qualities is that I text back really fast. If you text me chances are you'll have a response before you've even had the chance to put the phone down and it's something I have no shame in. 18. My dessert of choice is cheesecake. I don't care what kind of cheesecake it is if we go out and cheesecake is on the menu that is what I will choose. 19. I absolutely love Musical Theatre with my favorite musical of all time being Miss Saigon. 20. I am a very big reader. I just love books and cannot walk into a bookshop without buying one. I get through about a book a week. I just love them and nothing bugs me more than people who say they don't read or don't like reading. What do you do with your time? 21. I absolutely love the violin. It's something I played from the ages of 9 till about 17 and then gave it up. I did get up to grade 8 though which is definitely something I'm proud of. It is something I do want to take up again and I actually bought a new violin quite recently and I'm so excited take it up again as I just love music. 22. I am quite a messy person. My room is constantly a mess which things (mainly work tights, hair bands and hair grips) on the floor. I try so hard to keep it tidy but within 10 seconds it'll be a mess again. Oops. 23. I absolutely love travelling. Like the thought of going to the airport and boarding a plane to travel to a completely new country about to be a part of a new culture really does excite me. It's something I'm aiming to do a lot more this year. 24. One of my favorite things to do with my brother is to watch old episodes of Recess over and over again on repeat. I just absolutely love it. 25. My all time favorite TV show is The Gilmore Girls. I will watch it for hours on end on repeat and never get bored of it. I just love it so much. 26. I have kept a journal since I was 10 years old. I absolutely love writing things down and remembering things and when I feel sad or angry it's the first place I turn to however the thought of anyone ever finding it and reading it absolutely terrifies me. 27. Since high school I have had a massive thing for gingers. I absolutely love a good looking ginger and its something I have no shame in admitting. Rupert Grint is probably my biggest celeb crush. I can't believe I just wrote that for the world to see but it's true! 28. A few countries that I'm absolutely desperate to visit include America, Australa and New Zealand and I won't feel like I've lived my life until I've been to every single one of them. 29. I am probably the least judge-mental person you will ever meet. I will never judge you for any of your life choices and I will extremely supportive of your decisions unless of course it's something like terrorism or murder but let's hope I never come across people like that any way. 30. My favorite seasons are Spring and Autumn. I think these are perfect seasons as they are not too hot that you feel like you can't wear anything but they are not too cold that you have to be buried in clothing. I love the cooler weather compared to hotter months so I think these seasons are perfect for me. 31. I am the least fashionable person you will ever meet. It will take me 45 minutes to get ready which will include hair make up and outfit and I'm good to go. Just give me a nice dress and I will pair it with tights and a nice coat or give me a nice top and I will stick a pair of jeans with it and I'm good to go. 32. I absolutely hate tying my hair up. My hair is extremely long and most hair ties are either too lose or way to tight. I always have it down unless I am at work and even then I absolutely hate it. 33. I cannot go to sleep, go on a train journey or work on blog posts or even read a book without music playing. It's literally the one thing in life I just cannot live without and it always has a massive affect on my mood. 34. I prefer a physical copy of an album rather than a download. I don't know why but I just prefer actually walking into HMV and browsing the aisles for my favorite music rather than browsing iTunes. 35. One thing I wish I could do more than anything is to be able to sing. I sound like 1000 dying cats every time I try to but it's something I wish I could do so much. 36. I absolutely love snacking on crisps however they have to be prawn cocktail or thai sweet chilli flavored. If not I will not touch them at all. 37. My favorite food is singapore noodles and lemon chicken. I would happily have this meal combination for breakfast lunch and dinner if it was appropriate. I just love it. 38. I absolutely hate reality TV shows with the exception of Made In Chelsea. I started watching it a few years ago and became hooked. I guess that's only because it's based in London though. But either way I can't enough of MIC. I also love Britain's Got Talent and The X Factor because I love seeing how these shows can actually help people achieve their dreams even if they do seem a bit silly at times. 39. I don't drink hot drinks. I don't like tea or coffee. The only hot drinks I will have is hot chocolate but only when it's absolutely freezing or hot milk and honey but only when I'm ill if not I will stick to having water or juice. I just can't deal with hot drinks and I don't know why. 40. I am an extremely impatient person. I hate waiting for things. I'm the type of person who will want something or someone to show up then or there rather than waiting for it. It's really not good. 41. Other than being impatient I'm quite a laid back chilled kind of person. However if I haven't eaten for a while just make sure to stay away from me. I get extremely hangry and it's not good. I need my food okay? 42. I didn't have my first proper kiss until I was 19 years old. My love life is somewhat of a disaster. 43. I am terrified of being in a relationship. I've never had a proper one because I've had a few bad experiences in the past and I've always witnessed a few of my friends go through horrible times and it just puts me off. 44. I am an extremely good listener and I am very good at putting others before myself. I'm the kind of person who likes to see other people happy therefore I am there to offer support and guidance before combating any problems of my own. It's the way I've always been and I doubt it's something that'll change. 45. I have never been to Disneyland and this makes me super sad but it is somewhere I am hoping to go with a few friends later on this year and I am super excited. 46. One of my favorite places in the world is Covent Garden in London. I absolutely love is as there is always something going on and it's just one of those places that makes me extremely happy. 47. I don't like cereal. For breakfast I'd happily have fruit or yogurt but I just can't deal with having cereal for breakfast. Sometimes I don't even have breakfast which I know is bad but sometimes the thought of food in the morning just makes me feel quite sick. 48. My favorite sports are football and tennis. I support Celtic FC however I watch most games on weekends and I absolutely love watching tennis especially Wimbledon. 49. Disney is one of my favorite things in life and my favorite film is Beauty And The Beast. 50. 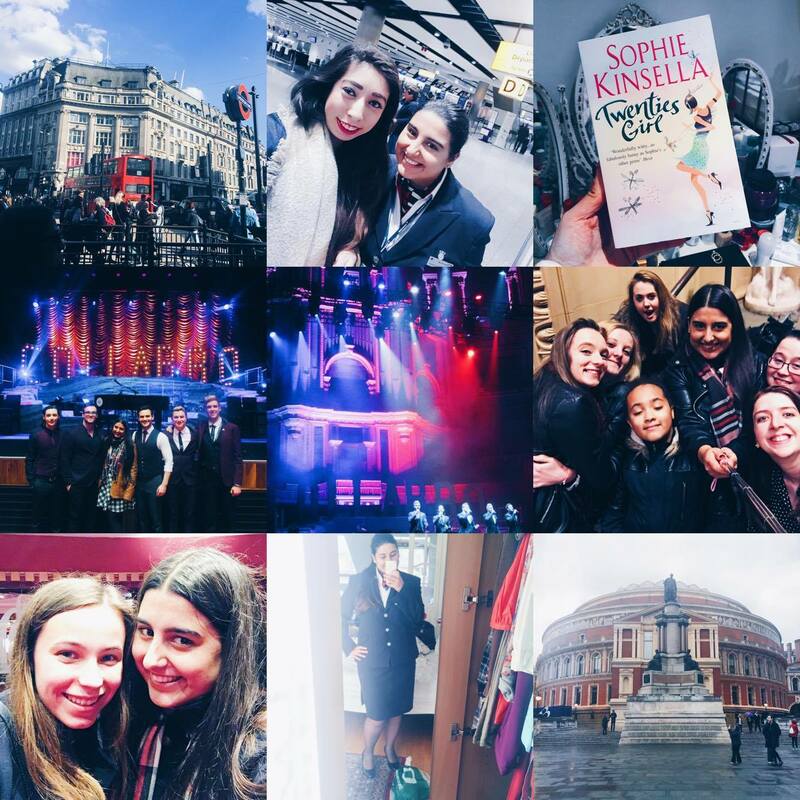 I have been writing this blog you're currently on for around 3 and a half years now and that has absolutely flown by so if you've read it from the beginning then thank you so much. So there we have it. 50 more weird and wonderful somewhat useless facts about me. Hopefully if you've just popped over for the first time you now know a little bit more about me. I absolutely love reading these kinds of posts so if you've written one of these yourself be sure to link them in the comments section below. I'll be blogging a lot more frequently from now on as I've lots of posts lined up and photos have all been taken so be sure to head on over to my twitter and instagram (xbellefleur) to know when I post them. Let me know an interesting fact about you in the comments below. Loved getting to know more about you, Danielle! Also, I'm a super fast texter as well! I always reply to people almost immediately. And Amen to being a disney fan! Aside from Aladdin, Beauty & The Beast is my other ultimate favorite. Ha I love these posts -- I feel like I get to know you so quickly! And I sympathize for looking half your age. I'm 28 and still get carded everytime I order a cocktail at a bar. My husband, who is almost 3 years younger, NEVER gets carded. It's really not fair!